FRANKFURT (Dow Jones) – German car buyers are less focused on brand names when it comes to purchasing an electric vehicle, but the price they are willing to pay is far below the costs for automakers, according to a survey published Tuesday by the Center for Automotive Management at Duisburg-Essen University. According to the study, German car buyers are willing to pay up to EUR21,500 for an electric vehicle from an established brand such as VW or BMW. They would spend the same amount on a car of an unknown brand if the range and battery charging time were 20% better. “They would even spend more money–up to an extra EUR2,500–if the technical (features) of no-name cars are considerably above the standards of brand models,” the survey said, adding that the average price German car buyers are willing to pay for an electric vehicle is EUR15,000. FULL-STORY HERE. The British Columbia Automobile Association (BCAA) studied the fuel costs of 16 hybrids over five years and they compared the costs against their purchase price and financing fees. 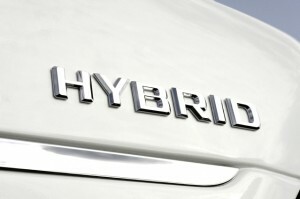 In a study released in late July, only one of the 16 hybrids cost less to buy and run than its gasoline counterpart. Can you guess which one? It probably not the one you would expect. Twelve years after Honda introduced the first gas-electric hybrid vehicle into the mass North American market, car buyers have yet to see the kinds of price reductions that were predicted to occur as hybrids gained popularity and market share. Even with technological advancements, and increased sales and model selection, consumers continue to pay a premium to purchase a hybrid. And, with the introduction of the HST and the corresponding elimination of the provincial sales tax rebate on hybrid vehicles, most hybrid models continue to cost more to own and operate than their conventional gas-powered counterparts. The $105,000 Mercedes S400 Hybrid sedan is the only model less expensive to own and operate compared to its corresponding conventional model. The S400 is approximately $5,000 less to own and operate than the closest conventional model, the Mercedes S450. The hybrids that come closest in cost to their conventional counterparts in purchase and operating costs are all the Toyota models (Prius, Camry and Highlander Hybrid), all the Honda models (Insight and Civic Hybrid) and the Lexus HS250h. Over a five year period, the hybrids that are the least costly to own and operate are the Honda Insight ($38,326), Toyota Prius ($40,324), and Honda Civic Hybrid ($42,664). No, not kidding. Visit AMG Market | Mercedes-Benz Enthusiasts for more info on AMG trends. Oil Obit/PR News/smart fortwo/Bloomfield Hills, MI: – smart USA applauds President Obama’s signing of the Car Allowance Rebate System (CARS) Bill, also known as “Cash for Clunkers”. In fact, smart is the “Number 1” U.S. brand in fuel efficiency and is the only car company that already exceeds the new fuel efficiency requirement, recently set by the Obama administration, which mandates an average of 35.5 miles per gallon by 2016. The Bill is intended to replace older, less fuel efficient vehicles with those that are more environmentally responsible. The smart fortwo is the vehicle that truly meets the intent of the CARS program. It is the most fuel efficient non-hybrid vehicle offered in the United States delivering 41 MPG on the highway. The smart fortwo is also certified as an Ultra Low Emissions Vehicle (ULEV) by the California Air Resources Board, and is an Environmental Protection Agency “SmartWay” vehicle which recognizes its low greenhouse gas and air pollutant scores. Under the CARS program guidelines, the smart fortwo will qualify for the highest voucher level of $4,500 upon the trade in of an eligible vehicle. When this voucher amount is applied to the purchase of a new smart fortwo, smart USA will be offering payments as low as $99 per month for qualified customers*. The program is expected to launch later this summer when the Federal government officially begins allowing consumers to take advantage of the trade-in voucher. However, interested consumers can learn more about the smart USA $99 per month offer by visiting www.smartusa.com. smart USA has set aside a limited number of vehicles for immediate delivery with the official launch of the CARS program. “The smart fortwo is the ideal vehicle for the environmental benefits that the “Cash For Clunkers” program was originally designed to support. As a society, now is the time to live smart by consuming less and conserving more, and that’s exactly what buyers of the smart fortwo will achieve for a very low monthly payment and very low cost of ownership. As the Number 1 brand in fuel efficiency we are excited to add to the growing number of satisfied fortwo owners throughout the United States. Although only on sale for just over a year in the U.S., there are already 32,000 smart fortwo’s on the roads of America joining over 1 million smart fortwo owners throughout the rest of world who are proving everyday that conserving can also be a whole lot of fun”, said Dave Schembri, President of smart USA. The smart fortwo is one of the most economical cars on the world’s roads today. According to the U.S. Environmental Protection Agency’s 2009 Fuel Economy Guide, the 2009 smart fortwo is the most fuel efficient, non-hybrid vehicle in the United States, ranking fifth overall in fuel efficiency behind four hybrid models. It is also the most fuel efficient two-seater in the United States. A state-of-the-art, compact, three-cylinder gasoline engine sits at the rear of the new smart fortwo. The engine capacity is 61 cubic inches, the output is 70 hp (52 kW). The 2009 smart fortwo achieves an average of 41 miles per gallon on the highway according to 2009 EPA regulations. The 2008 smart fortwo has been classified as an Ultra-Low Emission Vehicle (ULEV) by the California Air Resource Board (CARB) for its extremely low exhaust emissions. The vehicle’s catalytic converter is positioned close to its engine for a quick response. An electric pump blows fresh air into the exhaust port when the engine is cold to almost completely oxidize the carbon monoxide (CO) and hydrocarbons (HC) and render them harmless. A ULEV is a vehicle that has been verified by the California Air Resources Board as emitting up to 50 percent less polluting emissions than the average for new cars released in that same model year. In addition, the EPA, through an automatic internal process, has listed the 2008 smart fortwo on its Green Vehicle Guide Web site as a “Smartway” vehicle. Smartway vehicles are good environmental performers and considered the “greenest” vehicles on the market. The Smartway designation is given to vehicles that score a six or better on each of the Air Pollution and Greenhouse Gas Scores and achieve a combined score of at least thirteen. The smart fortwo received an EPA Greenhouse Gas score of nine and an Air Pollutant score of seven (out of a possible ten). The fortwo’s combined score of sixteen well exceeds the minimum requirement of thirteen to qualify for Smartway, and the high Greenhouse Gas score puts the smart fortwo just short of hybrid status. To ensure adherence to the low emission and consumption values, even with different fuel qualities, the U.S. versions have a lower compression ratio (10.0:1 instead of 11.4:1). This measure enables the engine to run closer to optimum combustion under a high load, resulting in low emissions and low consumption coupled with maximum driving fun. The sandwich tank made of multi-layer plastic (high density polyethylene) minimizes the fuel vapors escaping into the atmosphere. Emissions are below 0.5 grams of HC per day. The tank module has an active charcoal filter that returns fuel vapors to the tank. The engine is mounted transversally in front of the rear axle, and is slanted at an angle of 45 degrees towards the rear. Gas exchange is controlled by four valves per combustion chamber. The variable spread angle of the camshafts is controlled electronically for better torque at low revolutions. The camshafts are driven via a maintenance-free chain. smart USA Distributor LLC, headquartered in Bloomfield Hills, Mich., is the exclusive distributor of the smart fortwo in the United States and Puerto Rico and is a wholly owned subsidiary of Penske Automotive Group, Inc. The smart fortwo is a brand of and is manufactured by Daimler AG. This technologically advanced vehicle achieves 41 mpg on the highway and is an ultra-low emissions vehicle, as certified by the State of California Air Resources Board. The vehicle is 8.8 feet long, 5.1 feet tall and 5.1 feet wide and comes equipped with many functional and safety features found in most luxury models. smart is currently sold in 36 other countries, and more than one million smart fortwos have been sold since 1998. The 2009 smart fortwo is available in five trim levels ranging in price from $11,990** to $20,990**. For more information visit the smart USA website – www.smartusa.com. ** For 2009 models. Excludes tax, title, registration, destination charge, options and other dealer fees. 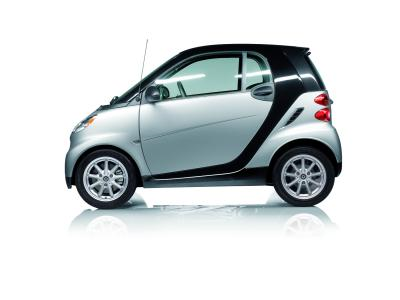 smart is a registered trademark of Daimler AG. Penske Automotive Group, Inc., headquartered in Bloomfield Hills, Michigan, operates 311 retail automotive franchises, representing 40 different brands and 25 collision repair centers. Penske Automotive, which sells new and previously owned vehicles, finance and insurance products and replacement parts, and offers maintenance and repair services on all brands it represents, has 160 franchises in 19 states and Puerto Rico and 151 franchises located outside the United States, primarily in the United Kingdom. Penske Automotive is also the exclusive distributor of the smart fortwo through its wholly-owned subsidiary smart USA Distributor LLC. smart USA supports over 70 smart retail centers in the United States. Penske Automotive is a member of the Fortune 200 and Russell 1000 and has more than 14,000 employees. smart and fortwo are registered trademarks of Daimler AG. *Financing for qualified buyers available through Daimler Financial Services at authorized smart center dealerships registered in the CARS program. Not all customers will qualify. Subject to credit approval by the lender. $99 monthly payment based on customer trade-in of an eligible vehicle qualifying for the CARS $4,500 voucher level and a 36-month balloon loan with $0 cash due at signing and a final balloon payment of $6,667 at the end of the loan term and a $13,335 MSRP which includes the destination charge and excludes tax, title and dealer fees. 5.9% APR financing for 36 months at $11.32 per month, per $1,000 financed. Restrictions apply for eligibility for the $4,500 voucher under the CARS program; please see www.cars.gov for details. Offer only applies to new and unused 2009 smart fortwo model vehicles. Visit your dealer for complete details on this and other finance offers. V-Vehicle Fuel Efficient Game Changer? Oil Obit News/Daimler PR/Stuttgart/January 15, 2009: The ADAC (German Automobile Association) has awarded its “Gelber Engel 2009” (Yellow Angel) to Daimler AG and its systems partner Continental in the Innovation & Environment category. The Stuttgart carmaker was selected for the award by Europe’s largest automobile club in recognition of its lithium-ion battery, the first such battery ever to be successfully integrated into a production passenger car. The Mercedes-Benz S 400 BlueHYBRID featuring this pioneering technology will have its market launch in summer 2009. The Stuttgart-based company is the world’s first carmaker to successfully adapt lithium-ion technology – currently used predominantly in consumer electronics – to the heavy demands of production passenger cars. Daimler AG holds a total of 25 patents that collectively facilitated the breakthrough in this important technology. A crucial element in the company’s success was its groundbreaking integration of a lithium-ion battery into the vehicle’s air-conditioning circuit. As a result of this, the battery unit is able to operate at optimum system temperatures between 15-35°C at all times, thus achieving a long service life for use in passenger cars (10 calendar years; 600,000 charging cycles) coupled with maximum efficiency. Dr. Thomas Weber, the member of the Board of Management of Daimler AG responsible for Group Research and Development Mercedes-Benz Cars, accepted the “Yellow Angel” award together with Heinz-Gerhard Wente, member of the Board of Management of Continental AG responsible for Human Resources and the ContiTech Division. Daimler’s lithium-ion technology was chosen as the year’s top innovation out of 51 applications from 42 companies by a jury comprised of experts from the ADAC, the German Association of the Automotive Industry (VDA), the Association of Motor Vehicle Importers (VDIK) and the German Association for Motor Trade and Repair (ZDK). The number of entries was the highest since the ADAC “Yellow Angel” awards were introduced. The innovative battery will be launched in the new Mercedes-Benz S 400 BlueHYBRID as early as summer 2009. The combination of the V6 petrol engine with the compact hybrid module will make the S 400 BlueHYBRID the world’s most economic petrol-engined luxury saloon. NEDC (combined) fuel consumption amounts to just 7.9 litres per 100 kilometers, giving world-best figures for CO2 emissions of just 186 grams per kilometer for this category of vehicle and output. In conjunction with an intelligent energy management system, the new model offers a comprehensive range of hybrid characteristics, including a user-friendly stop/start function for the petrol engine, boost effect and regenerative braking. 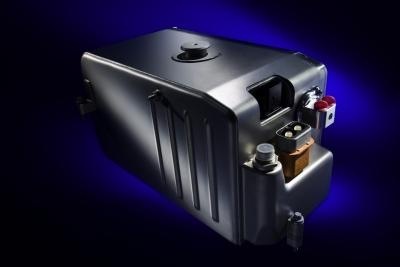 The advantage of the lithium-ion battery over conventional nickel-metal hydride batteries lies principally in its compact dimensions combined with much greater efficiency. Compared with NiMH technology, lithium-ion batteries better energy density by 30 percent and power-to-weight ratio by 50 percent. Moreover, they boast a high recharge efficiency and long service life. Lithium-ion batteries also have the lowest environmental impact of all battery technologies and guarantee a sustainable and cost-effective feedstock. Their high safety levels are on a par with those of current car batteries. As Mercedes-Benz’s system partner, the international automotive supplier Continental was responsible for software development and overall system application. A complex battery management system ensures the battery remains within an optimum operating range at all times. The electronics also monitor general functions such as temperature and energy output as compared with battery age. Safety circuits prevent the battery from overheating, for example, and a ‘cell supervising circuit’ monitors individual cells so as to guarantee optimum interaction. Production of the battery will be overseen by Continental at a new production facility in Nuremberg. In its Innovation & Environment category, the ADAC recognizes outstanding initiatives, projects or innovations in the fields of road and vehicle safety and environmental protection in road transport and automotive development. Application is open to institutions, organizations, institutes and companies. A basic requirement is that all innovations have already been successfully put into practice. 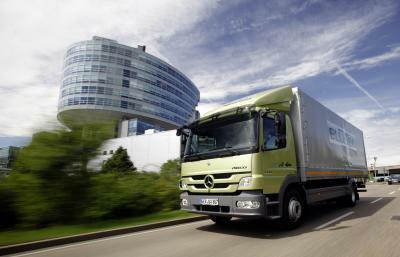 In 2006 Mercedes-Benz received the prestigious award in the Innovation & Environment category for the world’s cleanest diesel technology BlueTEC, achieving the same feat again in 2007 for its Active Brake Assist for trucks. “Yellow Angels 2009” were awarded in five categories: Car, Brand, Quality, Innovation & Environment and Personality. They are considered one of the most prestigious European car awards and looked upon by consumers as valuable yardsticks, since they take into account criteria such as price-performance ratio, practicality, economic efficiency, safety and environmental compatibility. Mercedes-Benz finished runner-up in the Brand category for 2009, as it did with the CLK in the Quality category. In the Car category for 2009 the SLK achieved third place, following a first place with the C-Class in 2008. Mercedes-Benz is launching its first passenger car model equipped with a hybrid drive system in summer 2009 – the S 400 BlueHYBRID. The combination of a modified V6 petrol engine and a compact hybrid module makes the S 400 BlueHYBRID the world’s most economical luxury saloon with a spark-ignition engine. The NEDC combined fuel consumption is a mere 7.9 litres per 100 kilometres. This makes for the world’s lowest CO2 emissions in this vehicle and performance class – just 190 grams per kilometre. These exemplary figures go hand in hand with assured performance. The 3.5-litre petrol engine develops an output of 205 kW/279 hp, the electric motor generates 15 kW/20 hp and a starting torque of 160 Nm. The result is a combined output of 220 kW/299 hp and a combined maximum torque of 385 newton metres. Moreover, the new S 400 BlueHYBRID is the first series-production model to be equipped with a particularly efficient lithium-ion battery specially developed for automotive use. This is another major contribution by Mercedes-Benz to the electrification of the car. The new Mercedes-Benz S 400 BlueHYBRID is based on the S 350, and features an extensively modified drive train. This encompasses a further development of the 3.5-litre V6 petrol engine, an additional magneto-electric motor, the 7G-TRONIC seven-speed automatic transmission specially configured for the hybrid module, the necessary operating and control electronics, the transformer and a high-voltage lithium-ion battery. The compact hybrid module is a disc-shaped electric motor that also acts as a starter and generator. The system offers a double benefit, as it both helps to save fuel and increases driving enjoyment. This is partly due to the booster effect of the electric motor, as it powerfully backs up the petrol engine with a maximum additional torque of 160 newton metres during the high-consumption acceleration phase. The driver benefits from the combined action of these two units in the form of even more impressive torque characteristics and smooth, effortlessly superior acceleration. The hybrid module also has a comfortable start/stop function, which switches the engine off when the vehicle is at a standstill – for example at traffic lights. When it’s time to move off again, the electric motor almost imperceptibly restarts the main power unit. This likewise makes a contribution to fuel economy and environmental protection: because the engine restarts first time, and practically instantly, emissions are also minimised during the starting phase. When the vehicle is braked the electric motor acts as a generator, and is able to recover braking energy by a process known as recuperation. Working in finely tuned partnership, the electric motor supplements the braking effect of the petrol engine and the wheel brakes to deliver a smoothly progressive braking action. The recuperated energy is stored in a compact yet highly efficient lithium-ion battery in the engine compartment, and made available when required. This complex system is managed by a high-performance control unit, which is likewise located in the engine compartment. The centrepiece of the modular, very compact and highly efficient hybrid drive system is the new high-voltage lithium-ion battery, which was specially developed for automotive use and is the first such unit worldwide to be introduced in a series-production vehicle. In this way Mercedes-Benz is making a trailblazing contribution to the electrification of the car, with the S-Class once again playing the role of the technological trendsetter. Major advantages over conventional nickel/metal hydride batteries include a higher energy density and better electrical efficiency, together with more compact dimensions and a lower weight. Thanks to space-saving installation in the engine compartment, where it replaces the conventional starter battery, the generous interior space and boot capacity of the S 400 remain unchanged. 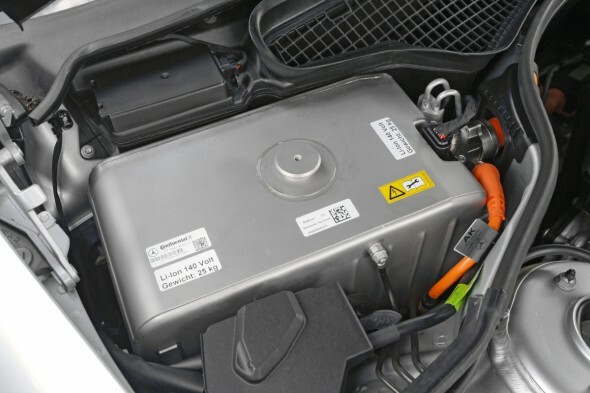 The lithium-ion battery not only stores energy for the electric motor, but is also connected to the 12-Volt onboard network via the transformer to supply power to other standard consumers such as the headlamps and comfort features. The completely newly designed battery system consists of the cell block with its lithium-ion cells and the cell monitoring system, the battery management function, the high-strength housing, the cooling gel, the cooling plate, the coolant feed and the high-voltage connector. The 3.5-litre V6 petrol engine with variable valve control has been throughly re-engineered and improved. In the process the development engineers made use of the advantages offered by the Atkinson principle,where the expansion phase is longer than the compression phase. The intake valve is kept open slightly longer between the intake and compression phases, which improves the engine’s thermal efficiency while reducing the specific fuel consumption and untreated emissions. A new cylinder head, different pistons and a modified camshaft with different camshaft control increase the output by 5 kW/7 hp to 205 kW/279 hp – while reducing fuel consumption at the same time. Especially on rural journeys and on motorways, the S 400 BlueHYBRID achieves a further efficiency improvement by moving the so-called operating point of the petrol engine to produce a lower specific fuel consumption. The extremely high start-off torque made possible by the boost effect of the electric motor gives the driver a particularly exhilarating feeling of powerful acceleration, while fuel consumption and emissions are reduced. Advances in technology improve the driving performance as well as the environment. The compact, disc-shaped electric motor, which is space-savingly installed in the torque converter housing between the engine and the 7G-TRONIC seven-speed automatic transmission, improves efficiency even further. This is a 3-phase AC external rotor magneto motor, which develops a peak output of 15 kW/20 hp and a starting torque of 160 newton metres with an operating voltage of 120 Volts. This compact motor also acts as a starter and generator, adopting the functions of both these conventional ancillary units. Sophisticated interaction with the internal combustion engine makes numerous additional functions possible that positively influence the emissions and agility of the S 400 BlueHYBRID in equal measure. Moreover, this disc-shaped motor effectively dampens torsional vibrations in the drive train, thereby further reducing noise and vibrations in the interior. The result is even more ride comfort for both driver and passengers. The overall system offers extensive benefits: firstly by helping to save fuel, and secondly by increasing driving pleasure with the help of the “boost” effect, where the electric motor gives powerful assistance to the petrol engine with its maximum torque of 160 newton metres right from the beginning of the fuel-intensive acceleration phase. This means that the hybrid drive system of the S 400 BlueHYBRID moves off powerfully even from very low engine speeds, as the torque curve impressively confirms. The additional torque of the hybrid module also has a consistently positive effect during subsequent acceleration phases. In all driving situations, the driver therefore benefits from the interaction between the two units in the form of powerful responsiveness and muscular torque – but without an increased fuel consumption. The S 400 BlueHYBRID accelerates from zero to 100 km/h in 7.2 seconds, and reaches an electronically governed top speed of 250 km/h. The S 400 BlueHYBRID betters the already very favourable NEDC fuel consumption of the conventionally powered S 350 by up to 2.2 litres per 100 kilometres. CO2 emissions are reduced by 21 percent. In addition the hybrid module features an extremely comfortable and efficient start/stop function, which already switches the engine off when the vehicle is rolling to a stop at less than 15 km/h, for example before stopping at traffic lights. When it’s time to move off again, the electric motor immediately and imperceptibly restarts the main engine as soon as the driver releases the brake pedal or operates the accelerator. This likewise contributes to fuel economy and environmental conservation: as the engine restarts practically instantly, emissions are also minimised during the starting phase. The vibrations and jolts that are unavoidable when starting with a conventional starter are also reduced to a minimum. Steering and climatic comfort remain unchanged, as both the steering servo pump and the refrigerant compressor are electrically powered. Both systems therefore continue to operate even when the vehicle is at a standstill with the engine automatically switched off. The intelligent control logic is able to detect whether the driver is executing a turning or parking manoeuvre. In this case the automatic start/stop function is temporarily deactivated, so that these manoeuvres can be carried out in comfort. When the vehicle is braked, the electric motor acts as a generator and uses a process known as recuperation to convert the kinetic energy into electrical energy. This energy is stored in the compact yet highly efficient lithium-ion battery, and made available when required. In the process the electric motor assists the engine braking effect of the internal combustion engine in two smooth, seamless stages: In stage one, on the overrun with no braking action, the electric motor acts as a generator and begins to recuperate energy. Stage two commences as soon as the driver lightly operates the brake pedal: the generator output is then increased proportionally, and perceived as heavier deceleration by the driver. Only when more brake pedal pressure is applied are the wheel brakes activated in addition to recuperation. In this way more electrical energy can be generated, while saving wear and tear on the hydraulic braking system at the same time. To make the best possible use of this double benefit, Mercedes engineers also developed a new braking system with a new brake pedal module for the S 400 BlueHYBRID. Dedicated control electronics are required to operate the 3-phase AC electric motor in the 120-Volt high-voltage DC network. The current converter is accommodated in the space formerly occupied by the starter. As the control electronics heat up as a result of electric currents measuring up to 150 amps, the system is equipped with its own, additional low-temperature cooling circuit. Mercedes-Benz engineers have accommodated the transformer in the right front wheel arch, where it facilitates the exchange of energy between the 120-Volt high-voltage network and the 12-Volt onboard network – and also allows the option of emergency starting with jump leads if the standard battery should lose its charge. To ensure a consistently high level of electrical efficiency, the transformer is likewise cooled by a low-temperature circuit. The 12-Volt lead/acid battery is installed in the boot, and not only supplies the standard consumers but also the monitoring system for the high-voltage components with energy. Thanks to its interaction with the lithium-ion battery, it is considerably smaller in size and lighter than usual. Mercedes-Benz developers also adapted the well-proven 7G-TRONIC automatic transmission to suit the hybrid drive, with newly programmed software for the transmission management system. A newly developed auxiliary oil pump ensures reliable lubrication of the transmission even during phases when the internal combustion engine is switched off. 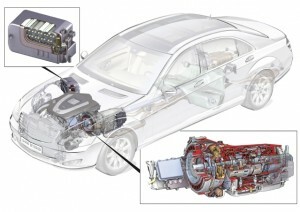 This complex system is managed by the modified high-performance engine control unit. This incorporates extensive functions, and distinguishes between operating conditions such as city traffic, rural journeys, motorway driving or slow manoeuvring. The driver is also able to monitor the status of the hybrid drive system visually. The instrument cluster has a separate, centrally positioned, display showing the energy flow during boost and recuperation phases, as well as the battery charge status. As is usual at Mercedes-Benz, the development engineers gave safety aspects their very special attention. Know-how incorporated into the series-production car included long years of Daimler research experience with fuel-cell technology. The challenge lay in not only complying with all the worldwide and in-house legal crash test requirements, but also in ensuring the greatest possible safety for the electrical components. This safety system already applies in production, includes workshop personnel during servicing and maintenance, and also takes the emergency services into account when passengers need to be recovered following an accident. Accordingly the hybrid technology of the S 400 BlueHYBRID is equipped with an extensive 7-stage safety concept. In the first stage all the wiring is colour-coded to eliminate confusion, and marked with safety instructions. This prevents assembly errors in production, and makes the regular quality checks easier to carry out. The second stage comprises comprehensive contact protection for the entire system by means of generous insulation and newly developed, dedicated connectors. As part of the third stage, the world’s first lithium-ion battery to be used in a series-production model has been given a whole package of carefully coordinated safety measures. 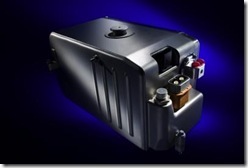 This innovative battery is accommodated in a high-strength steel housing, and also secured in place. Bedding the battery cells in a special gel effectively dampens any jolts and knocks. There is also a blow-off vent with a rupture disc and a separate cooling circuit. An internal electronic controller continuously monitors the safety requirements and immediately signals any malfunctions. The fourth stage of the safety concept includes separation of the battery terminals, individual safety-wiring for all high-voltage components and continuous monitoring by multiple interlock switches. This means that all high-voltage components are connected by an electric loop. In the event of a malfunction the high-voltage system is automatically switched off. Active discharging of the high-voltage system as soon as the ignition is switched to “Off”, or in the event of a malfunction, is part of the fifth stage. During an accident, the high-voltage system is completely switched off within fractions of a second (stage six). As the seventh and last stage, the system is continuously monitored for short circuits. Thanks to its compact dimensions and modular design, the additional weight of the overall system is only 75 kilograms – including the comprehensive safety systems. The superior driving experience for which a Mercedes is known is therefore ensured by this trailblazing and very versatile technology, which can be used for practically all Mercedes-Benz model series. Moreover, the payload remains unchanged at 595 kilograms. The intelligent high-performance engine management system responds very sensitively to different driving conditions, and optimally configures the drive system for the relevant application, ensuring that both fuel consumption and emissions are kept to the lowest possible level. At standstill the petrol engine is usually switched off, and therefore consumes no fuel. The electric drive of the refrigerant compressor and steering servo pump allows uninterrupted operation of the air conditioning and power steering. Comfort is in no way compromised, and is at the same high level as in all S-Class models. Moving off and acceleratingaway gently remains a smooth and comfortable procedure. A driver who kicks down the accelerator for a brisk start benefits from the boost function of the electric motor, which produces considerably more dynamic acceleration. At constant speedsthe intelligent electronics recognise situations such as relaxed motorway stretches, and automatically adjust the load point of the internal combustion engine to achieve a lower specific fuel consumption, thereby helping to save fuel and reduce emissions. When rolling to a stopthe recuperation function is activated as soon as the drive is interrupted in any way (foot off the accelerator, engine braking). Once the vehicle speed falls below 15 km/h, the petrol engine is automatically switched off. If the driver brakes using the brake pedal, the electric motor initially begins to convert the vehicle’s kinetic energy into electrical energy. In this case the electric motor acts as a generator, storing the kinetic energy as electrical energy in the lithium-ion battery. This process feels like a stronger engine braking effect to the driver. The conventional disc brakes at the wheels are not yet employed, saving wear and tear. The disc brakes are only activated if the driver applies heavy pressure to the brake pedal, braking the car together with the engine brake and recuperation. Once the driver selects “R” (reverse) in the 7G-TRONIC automatic transmission when manoeuvring, this automatically activates the Manoeuvring mode and prevents the start/stop function from switching off the engine at short, frequent intervals. The advantages of the hybrid drive system really come into their own in city traffic, with frequent stops at red traffic lights. Already switching off the petrol engine as the car frequently coasts to a stop significantly lowers the fuel consumption and emissions, while the long recuperation phases increase the battery charge. The electric motor ensures particularly comfortable and rapid restarting when the start/stop function is active. On rural roadsthere are frequent changes between boost, constant speed and recuperation phases. Depending on the nature of the route, large quantities of recuperation energy are available to reduce fuel consumption and emissions. The more braking and acceleration phases there are, the better: uphill and downhill gradients, as well as winding, dynamic stretches, make for the largest savings. The hybrid effect is inherently less important on motorways, however thanks to specific modifications to the V6 petrol engine and the 7G-TRONIC automatic transmission, the driver is also able to achieve significant fuel savings and correspondingly lower emissions on fast road stretches like these. The S 400 BlueHYBRID is produced at the Sindelfingen plant, together with the other S-Class models. The petrol engine, 7G-TRONIC automatic transmission and electric motor are first put together to form a hybrid module, then delivered to the production line as a unit. The market launch in western Europe is planned for June 2009; China is expected to follow in August 2009 and the USA in September 2009. The new S 400 BlueHYBRID exemplifies the strategy of Mercedes-Benz, whose declared aim is to offer the brand’s customers economical and environmentally compatible premium cars – without compromising in terms of typical brand attributes such as safety, comfort and a superior driving experience. Major areas of development focus include modular drive technologies, which are used on a stand-alone basis or in combination depending on the vehicle class, operating profile and customer requirements – Mercedes-Benz has already described how this applies to the product portfolio in its “Road to the Future”. In this context Mercedes-Benz also provides an outlook on the future of the internal combustion engine, with the innovative DIESOTTO engine in the F 700 research car. The requirements for the cars of the future are complex and multi-facetted. This is because the world population, and therefore the demand for mobility, are set to increase drastically over the next few decades. At the same time the world’s natural resources are becoming increasingly scarce and therefore more and more expensive for both consumers and car manufacturers. Depending on the world region, there are also sometimes very different legal requirements with respect to the environmental compatibility of vehicles. Examples include the environmental zones already established in many European cities, or the legally prescribed quotas for emission-free vehicles in California. These developments are already having a noticeable effect on customer behaviour. In addition to economic factors – above all increasing fuel prices – the environmental compatibility of a car is becoming increasingly important as a buying criterion. What is more, the day-to-day driving requirements of customers are becoming more and more individual and distinctive: drivers covering long rural distances have different requirements from those who mainly or even exclusively drive in densely populated urban areas. In the view of Mercedes-Benz, there is therefore no single technology that will provide the ideal solution for sustainable mobility in the future. Instead the company offers versatile, tailor-made solutions to meet these very varied requirements. The individual technologies deliver their benefits in terms of optimal fuel consumption and emissions in the specific areas of application concerned. The approach taken by Mercedes-Benz envisages vehicle concepts with modular drive technologies, which ensure that customer benefits and environmental compatibility are always jointly emphasised. Vehicle optimisation with the latest internal combustion engine technology – for example by downsizing, high-pressure charging, direct injection and the environmentally friendly diesel technology BlueTEC – as well as specific vehicle improvements in the areas of aerodynamics, lightweight construction and energy management (BlueEFFICIENCY), for example. Further efficiency improvements by means of need-related hybridisation in various development stages – from the start/stop function to the two-mode hybrid operating under electric power alone. Locally emission-free driving with fuel-cell and battery-powered vehicles. The company is also actively involved in the development of clean and alternative fuels that do not compete with the production of foodstuffs – particularly in SunDiesel, which is obtained from plant waste. Mercedes-Benz has already brought numerous answers to the challenges of tomorrow to market. The most recent examples are the BlueEFFICIENCY models in the A-Class, B-Class and C-Class, the natural-gas-powered B 170 NGT and the powerful yet economical and clean BlueTEC SUVs, which were first introduced into the US market this year. A mix of modular drive systems, from the latest internal combustion engines with BlueTEC or direct injection, with or without hybridisation, right up to locally emission-free battery and fuel-cell-powered vehicles, provides all the conditions that will enable Mercedes-Benz to offer its customers need-related mobility to the brand’s customary high standard into the long-term future. Interested, I visited T. Boone Picken’s website to review the much advertised energy plan. While at the site I signed up for the newsletter updates. And today, around 6:30PM, I rec’d an invitation to participate in what the folks promoting Pickens’ energy plan hope is the largest internet rally for energy independence in history; scheduled at 10PM Eastern time, 30 minutes before the debate ends. The rally is featuring Carl Pope, the Executive Director of the Sierra Club and Pickens on video. The second Presidential debate will take place on October 7 at 9:00 pm EDT. T. Boone Pickens and Sierra Club Executive Director Carl Pope will be hosting an online rally at PickensPlan.com during and after the debate. The rally will feature live video from Pickens Plan HQ in Dallas and you will have an opportunity to submit questions and comments about America’s energy future. We will be delivering a copy of your questions and comments to both Presidential candidates, so don’t miss this opportunity to lend your voice to the call for American energy independence! RSVP today! (landing page). U.S. Sen. Saxby Chambliss, R-Ga., pledged Tuesday (Oct. 7, 2008) to push for congressional passage of an energy independence plan being pushed by billionaire Texas oilman T. Boone Pickens. Chambliss said Pickens’ proposals to develop new domestic sources of energy while expanding proven American technology share much in common with bipartisan energy legislation he is sponsoring in the Senate.